We offer extensive range of Small Plywood Boxes with partition for our valuable customers. These are designed in accordance to the industry standards. 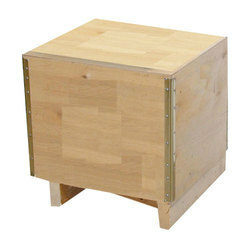 Plywood boxes help in minimizing unnecessary weight, act as a substitute wooden texture and also to assure its durability. These are available in different sizes and can be easily customized. We offer a wide assortment of plywood heavyweight cases which is mainly suitable for export shipments either in container or break bulk and can even be customized as per the requirements of our clients. These plywood heavy weight cases can carry up to 25 tons of machinery’s weight. We offer a wide range of Plywood Cases that are used for packing any kind of export material. The material that is to be transported is put in to the cases which is then finally put in to the container. Wood is minimally processed from its natural state thus saving resources and energy. 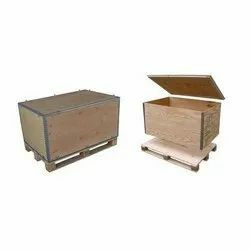 We provide a wide range of Plywood Cases that finds use in the packing of export material. The material to be transported is put in the Cases which in turn are kept in the container. Since the wood is minimally processed from its natural state, it saves on resources and energy. To cater to the huge demand of respected clients, we are putting across best collection of Plywood Storage Box. we are into the manufacturing and trading of the Plywood Cases which is used fo many purposes.